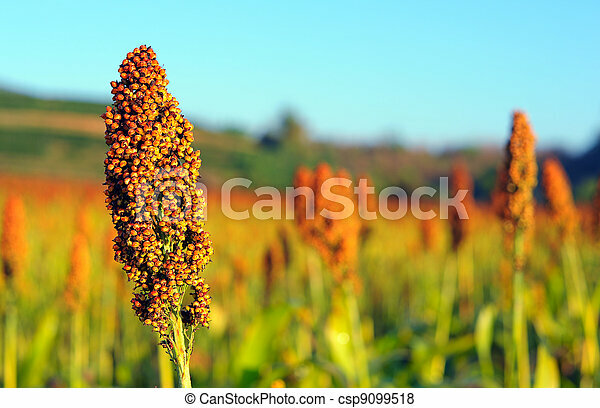 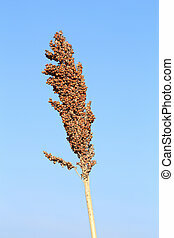 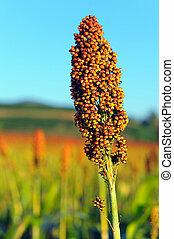 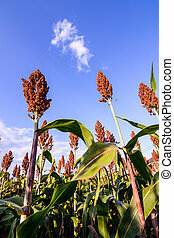 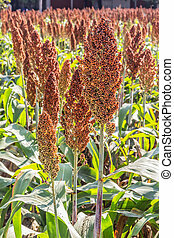 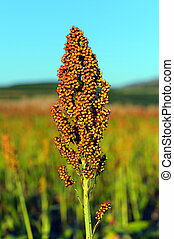 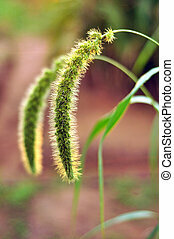 Close up of sorghum in morning sun light. 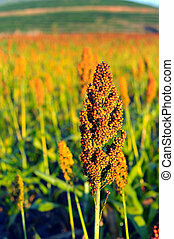 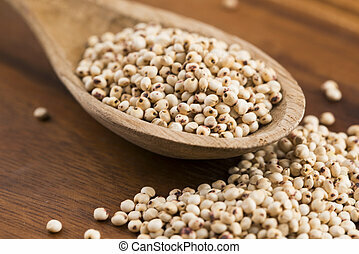 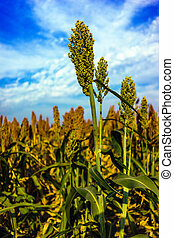 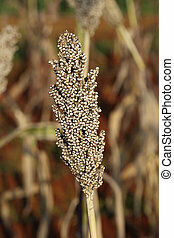 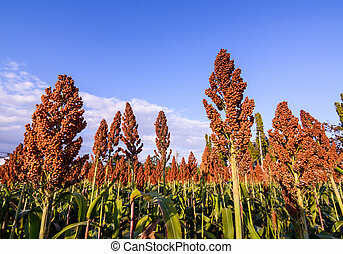 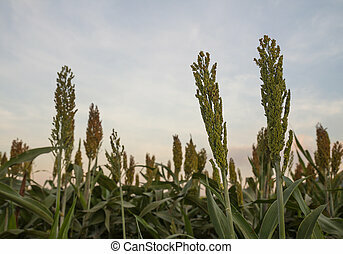 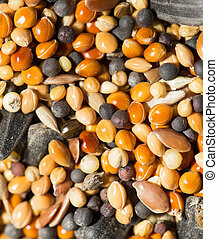 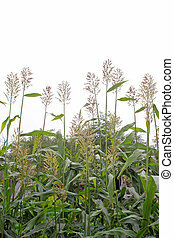 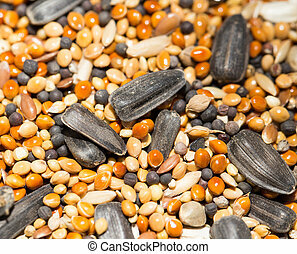 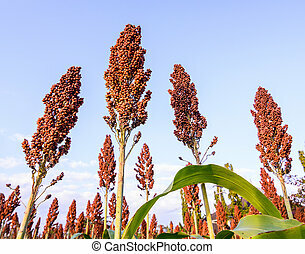 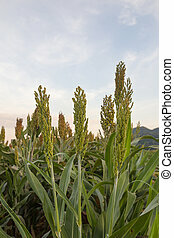 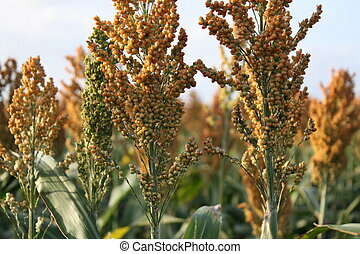 Close up of sorghum in the field. 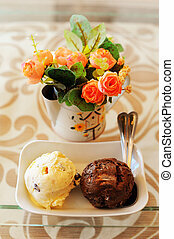 Close up of icecream with flower on table. 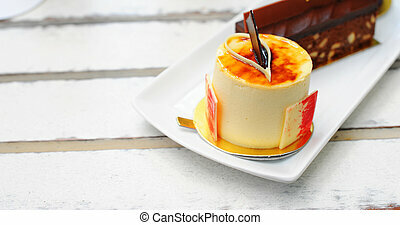 Close up of cake on table. 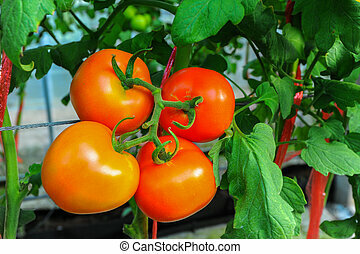 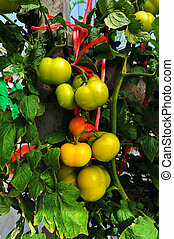 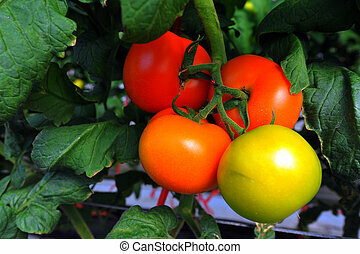 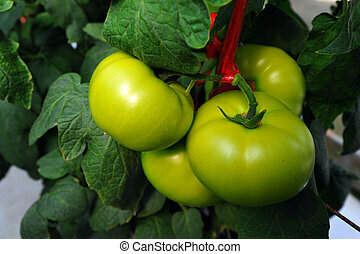 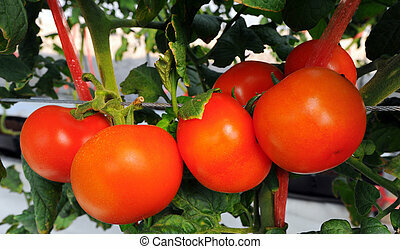 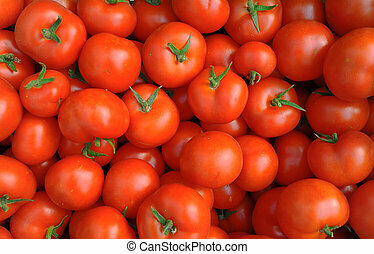 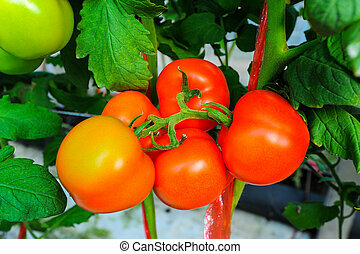 Close up of fresh tomatoes still on the plant. 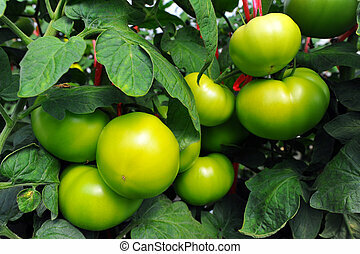 Close up of many fresh green tomatoes big fruit type.